Edwards Lifesciences was built on a foundation of collaboration with physicians. More than 50 years ago, an engineer and a physician began working together to develop the world’s first commercially available heart valve. 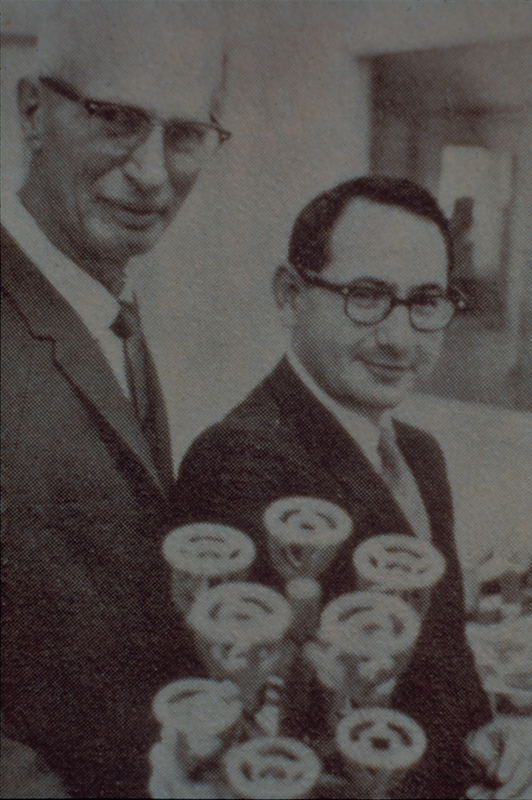 The partnership between our founder, Miles “Lowell” Edwards, and Dr. Albert Starr was the catalyst for developing a series of heart valve technologies that have transformed patient care and kept Edwards’ products at the forefront of innovation. Today, the continued evolution of medical technology at Edwards remains dependent on these important relationships. In addition, physicians around the world rely on training and education sponsored by Edwards to help advance their understanding of the latest developments in medical techniques. The best trainers of physicians are usually other physicians, and Edwards is proud to provide funding to facilitate that sharing of expertise. Edwards believes that bringing transparency to our relationships with physicians will help the public better understand the critical role they play in the advancement of medical technology and patient care. In 2008, we announced that we would publish the names of U.S. physicians who received $5,000 or more per year from the company for speaking fees, consulting services, appropriate business-related travel and meal expenses, and/or royalty payments. The results for 2009, 2010, 2011 and 2012 are detailed below. Effective 2013, manufacturers of pharmaceuticals and medical devices including Edwards are required to report payments and transfers of value that are made to covered recipients (physicians or teaching hospitals) to CMS (Centers for Medicare and Medicaid Services). Edwards has adopted the AdvaMed Code of Ethics* on Interactions with Health Care Professionals, has implemented policies and procedures to implement the Code as part of its compliance program, and certifies annually that it will abide by the Code. Educational Speaking or Training: sharing experiences about the use of certain medical devices, conducting medical educational courses, teaching other physicians about the latest developments in the science of medicine, providing other physicians with hands-on training on a specific medical device or procedure, or proctoring of medical device procedures. Research or Consulting: providing research and counsel on technologies, diseases, or trends in patient treatment. Corporate Scientific Advisory Board: providing Edwards’ management, scientists and engineers with feedback on our research and development pipeline, product ideas, and plans for improvements to existing products. Royalties or Licensing: fees are paid to physicians who have ownership rights in patents that Edwards uses in its medical technologies. These disclosures are limited to transactions with U.S. physicians who are Health Care Professionals (“HCP”s) as defined by the AdvaMed Code of Ethics. As a result, there can be situations where a U.S. physician who receives remuneration from Edwards is not listed in this report. For example, if a physician serves on the Corporation’s Board of Directors, but is not involved in purchasing or recommending the purchase of Edwards’ products, they are not an HCP and there is no disclosure of compensation for their services. For proprietary reasons, payments related to clinical trial research are not included. The following is a list of U.S. physicians to whom Edwards has paid $5,000 or more in 2009 for specified services or transactions. This information will be provided on an annual basis. In addition to making Intellectual Property royalty payments to individual physicians, as described above, Edwards also makes such payments to The Cleveland Clinic Foundation for patents made by two physicians who were in The Clinic’s employ at the time of their inventions. The physicians are Delos M. Cosgrove, M.D., and Patrick McCarthy, M.D. Edwards does not know the amounts of payments, if any, The Clinic makes to these physicians. Travel and Meals: expenses paid or reimbursed for appropriate business-related travel and meals. The following is a list of U.S. physicians to whom Edwards has paid $5,000 or more in 2010 for specified services or transactions. This information will be provided on an annual basis. In addition to making Intellectual Property royalty payments to individual physicians, as described above, Edwards also makes such payments to The Cleveland Clinic Foundation (TCCF) and the Mount Sinai School of Medicine (Mount Sinai) for patents made by physicians who were affiliated with those institutions at the time of their inventions. The physicians are Delos M. Cosgrove, M.D. (TCCF), Patrick McCarthy, M.D. (TCCF) and David Adams, M.D. (Mount Sinai). Edwards does not know the amounts of payments, if any, TCCF or Mount Sinai makes to these physicians. The following is a list of U.S. physicians to whom Edwards has paid $5,000 or more in 2011 for specified services or transactions. This information will be provided on an annual basis. The following is a list of U.S. physicians to whom Edwards has paid $5,000 or more in 2012 for specified services or transactions. This information will be provided on an annual basis. * Edwards Lifesciences is an active member of the Advanced Medical Technology Association (AdvaMed), the leading medical device industry organization dedicated to the advancement of medical science and the improvement of patient care, and the contribution that high-quality, cost-effective healthcare technology can make toward achieving those goals. In addition to Edwards’ own Credo and core values of integrity and service on behalf of customers and patients around the world, Edwards has voluntarily adopted AdvaMed’s Code of Ethics on Interactions with Health Care Professionals, which is intended to help the medical technology industry facilitate ethical interactions with the U.S. healthcare community. Edwards is committed to continued ethical and socially responsible business practices, and respects the obligation of healthcare professionals to make independent decisions regarding medical technologies. In furtherance of this commitment, Edwards is proud to be one of the first companies to adopt the Code of Ethics and qualify to display the AdvaMed Code of Ethics Supporter Logo. Go to the AdvaMed website to learn more about the AdvaMed Code of Ethics.